Nothing to hold you back - Game wirelessly for up to 12 hours with complete freedom in movement thanks to powerful 2.4 GHz wireless. Also mix in an additional audio source with the included 3.5 mm cable. 50 mm Pro-G drivers - Get expansive sound. 50 mm Pro-G audio drivers are made from proprietary woven hybrid mesh. They deliver an incredible sonic experience, with greater depth and detail, and minimal distortion. Full-spectrum LIGHTSYNC RGB - Enjoy fully programmable and reactive RGB lighting by using G HUB software. Program lighting to match your room, rig and style. Or let the ~16.8 million colour RGB react to in-game action. 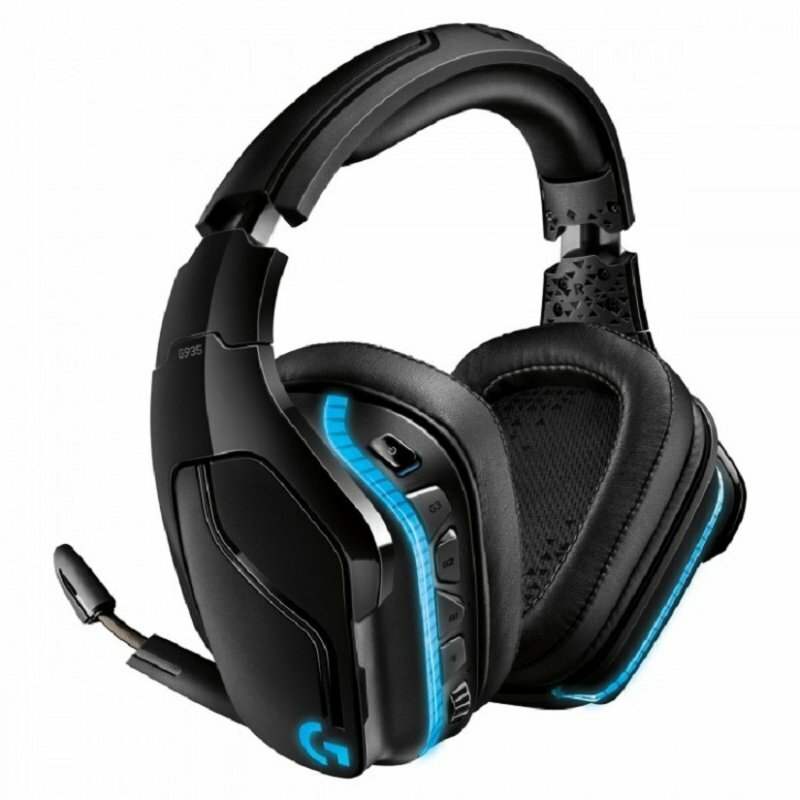 Immersive DTS Headphone:X 2.0 surround sound** - Hear enemies sneaking around you, special ability cues and immersive environments with positional clarity. It can be the difference between victory and defeat. Loud and clear 6 mm mic+ - Get amazingly clear and precise voice comms with a large 6 mm boom mic. Mic+ flips up to mute with a red mute light indicator.